Last year, I found some brown spots on some of my pepper plants. I couldn't see any insects so I trimmed the affected parts quite aggressively. The plant survived the operation quite well and proceeded to grow and fruit. What are they? Can they be the cause of my pepper's scarring? How do I get rid of them? 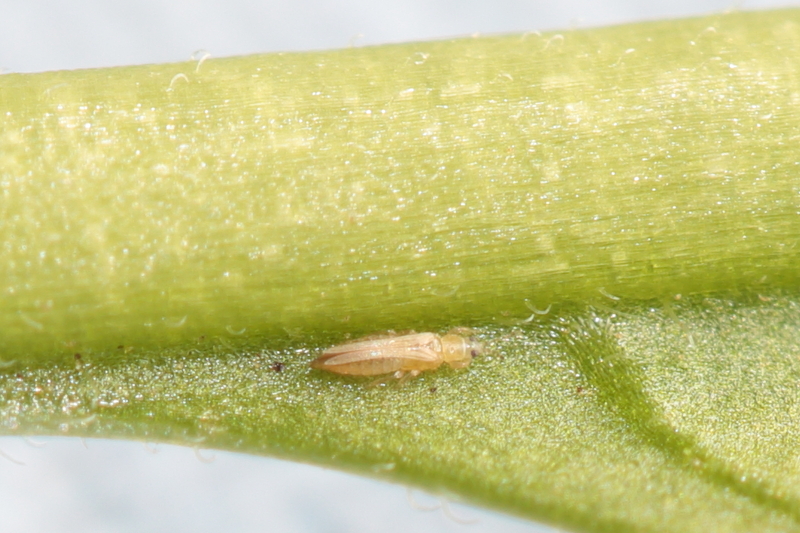 After some further research, I've identified this as a thrips, most likely the western flower thrips. They're allegedly quite difficult to get rid of. I'm growing this plant indoors and it's almost the end of the season so I can't rely on predatory insects to take care of these. I'll try to spray the plant with neem oil in hope of controlling them. If that doesn't help, I'll wait for the fruit to ripen and get rid of the plant. I'd rather not have it spread to other varieties that I need to keep indoors throughout the winter. Not the answer you're looking for? Browse other questions tagged identification pest-control pests insects peppers or ask your own question. Insect infestation on my pepper plant, what do I do? What type of pepper is this? What is damaging my pepper plant?